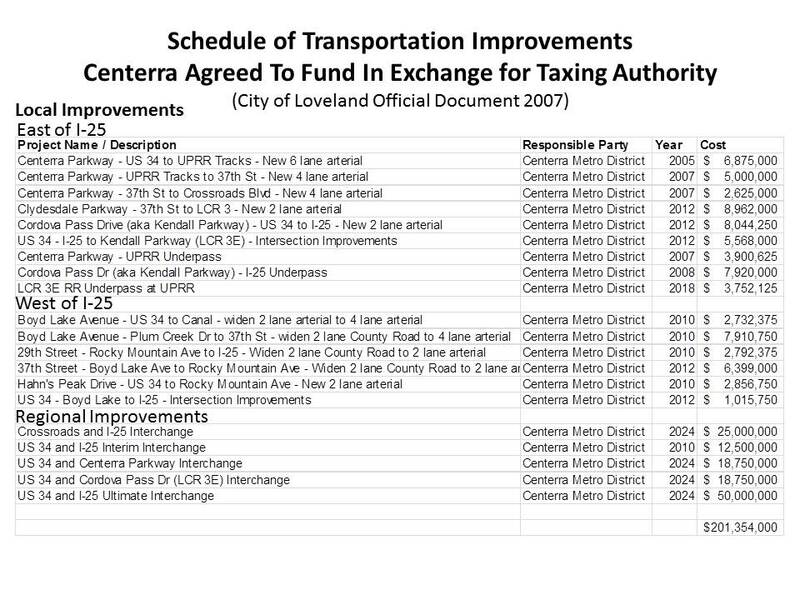 Loveland to fund regional transportation improvements. 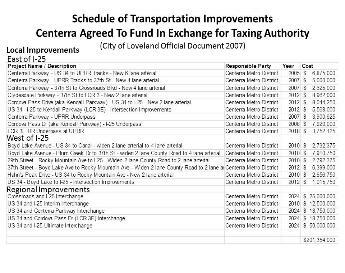 their quasi-governmental Centerra for regional transportation improvements. voters again for two-years after this political flip-flop. before voting for the proposed amendments to the MFA last week. public officials called Amendment 41. 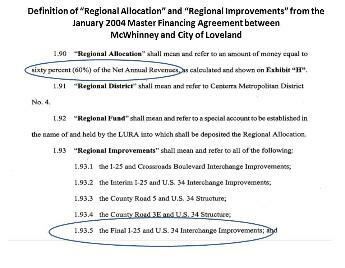 LovelandPolitics reported on the event in 2006 .
local officials who are limited to $50 per year from a single source. imaged from the original MFA right of this column). year since but with little to no accurate reporting by local media. were not promised in the original MFA. reduction of the metro districts. the "teeth" as Williams referred to in the agreement. 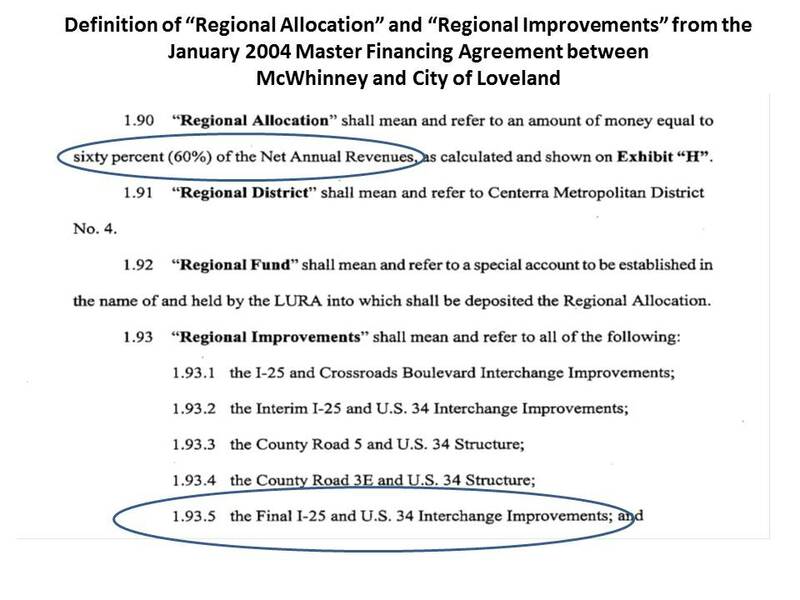 diverted tax revenue exclusively for regional improvements. 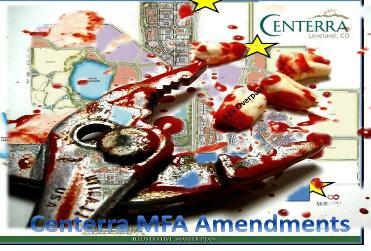 approved amendments to the MFA. 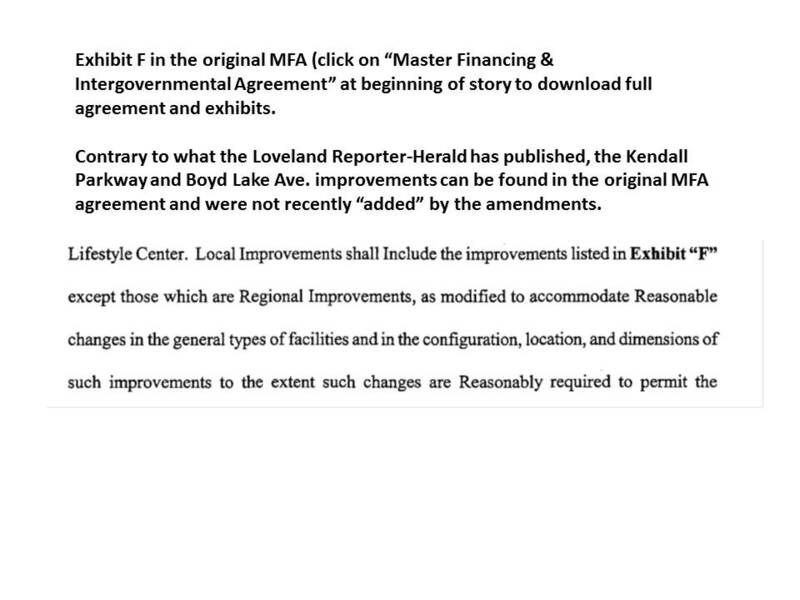 "The existing structure of the list and the existing MFA ... is simply a list of the existing five. direction on which areas, if any, you'd like to add to the list." 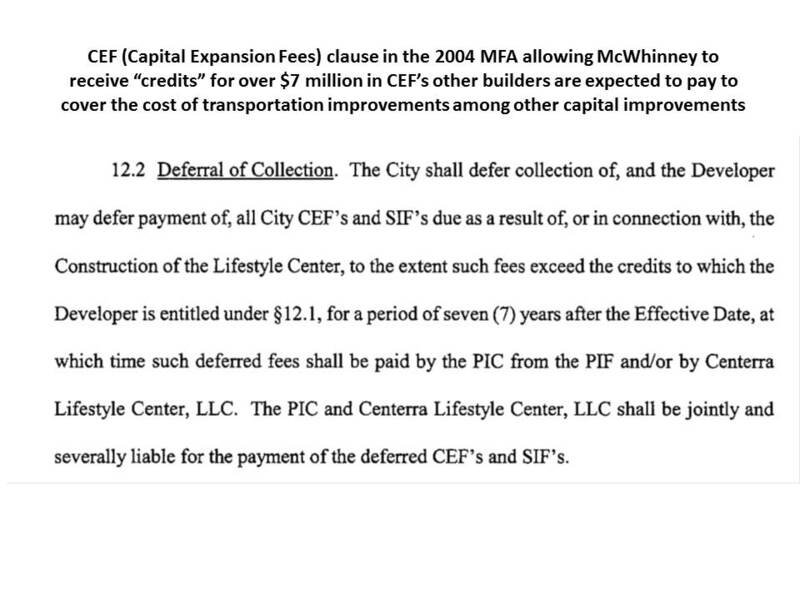 obvious reason for either to have been elevated to the city council for discussion. 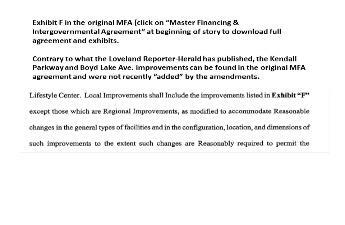 erroneous but is likely a misunderstanding by the reporter of the agreement. 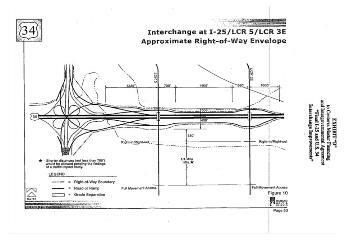 properties but do not impact the overall traffic congestion on a regional basis. 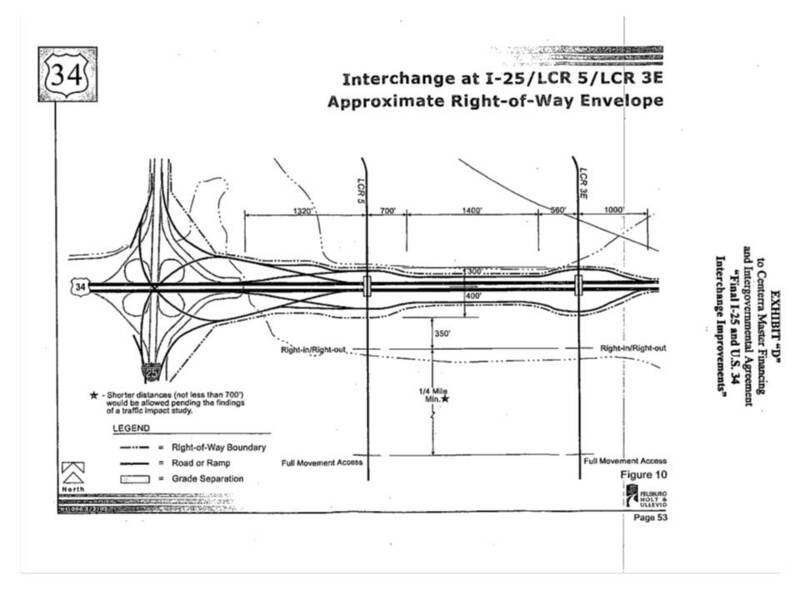 around several answers that appeared to confuse the city council. 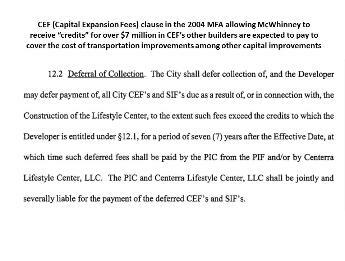 and a final termination date of June 8, 2016.
advertised PIF (sales tax fee) revenue goals.